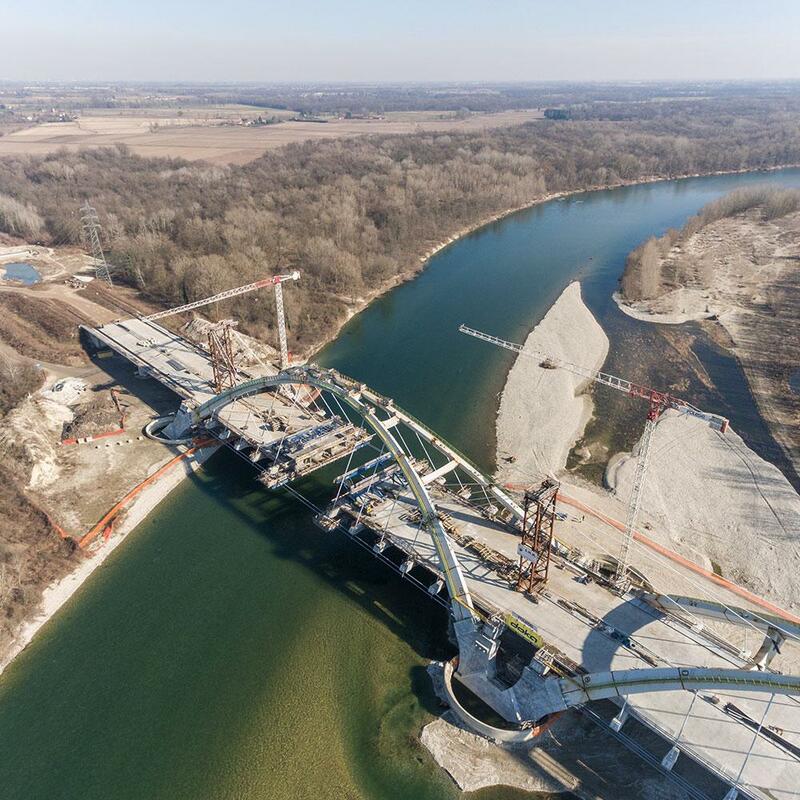 The new bridge over the river Ticino in Vigevano is part of an upgrade and expansion of the S.S. 494 Vigevanese. The infrastructural developments aim at improving the accessibility to the Malpensa airport and at providing the Lomellina area an opportunity for expansion. Doka supports the customer to improve the design and implementation phase in an early stage to reduce the costs. 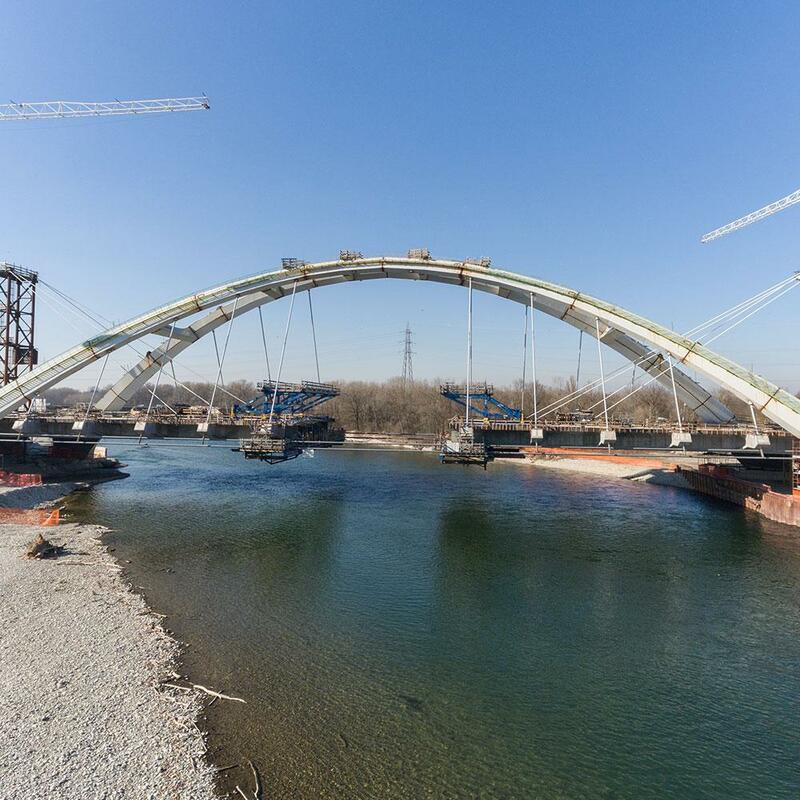 From conventional shoring up to several cantilever forming travellers over the Ticino river Doka was a full-service provider on these project. One of the challenge was the load distribution in the arch along the 150 m bridge span. 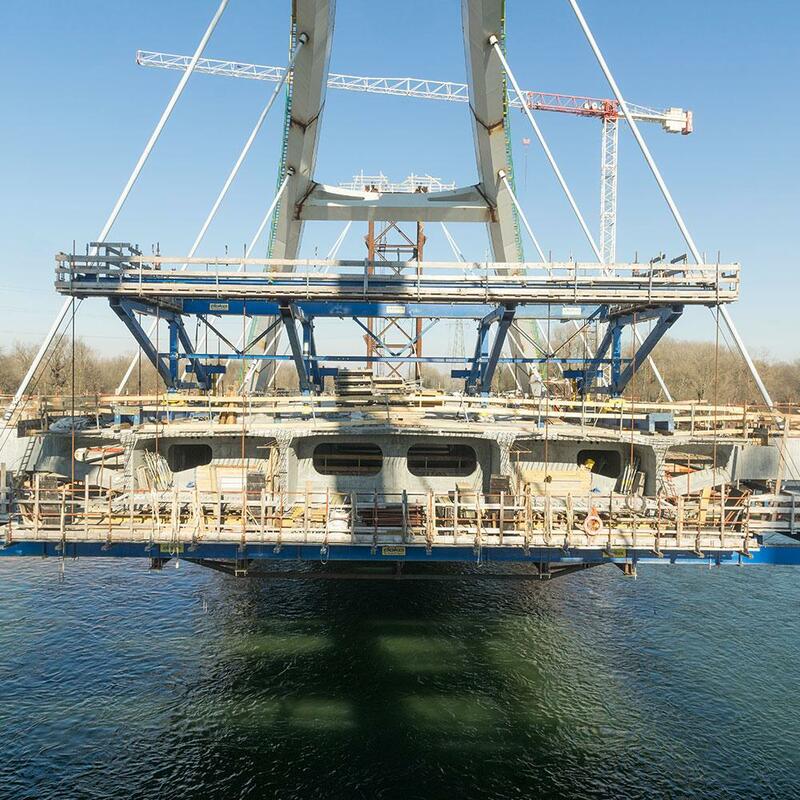 This challenge was solved by having two different segment lengths with prefabricated distributions beams for the suspension cables of the superstructure. Thank you for your interest - Ticino Bridge. Thank you very much for your interest - Ticino Bridge.